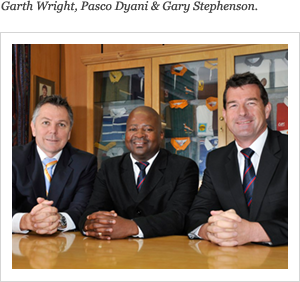 Springbok rugby player, Garth Wright has been in the security industry since 1993.
in the East Cape, and sold to ADT in 1998.
was formed to offer tailored CCTV & offsite monitoring services. respected for his business acumen. He has consulted to numerous blue chip clients and has a reputation for finding the best security and risk solutions specific to each client. 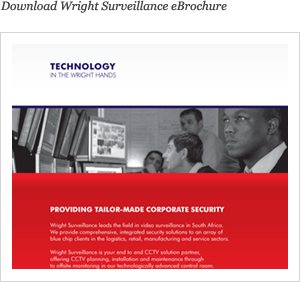 Pasco Dyani, Chairman of Wright Surveillance, is a 26% shareholder in the business. Printing, Wood and Allied Workers Union for 16 years (1992-2008). with a background in financial and general management before joining the company.